With roughly more than two months left to savor 2018, it’s still not yet too late to cross out the places you want to discover in and out of the country. The waves are ideal for a good surf. It has been raining the past few days, making the place a little gloomier than usual. Five hours away from Manila, La Union is one of those places that you won’t get tired of. Its laid back charm and soothing waves can calm even the most restless. These are the waves that you would want to bottle and listen when the need arises. 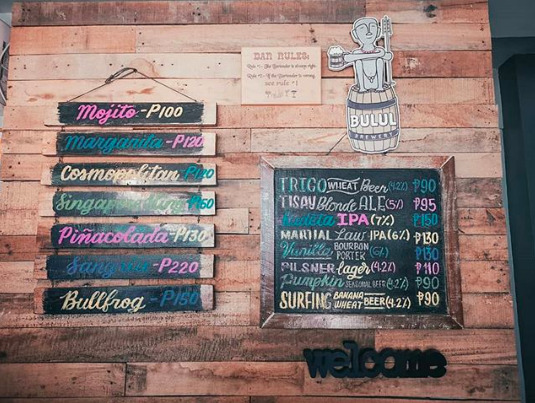 More than the chill vibe of the place, La Union is also famous for being a foodie destination as it houses restaurants and food hubs that cater to everyone across social and age demographics. Open from 10 a.m. to midnight, it was lunch time when we tried the delicious offering of this bar/diner. From rice meals, pasta to craft beers, Tipple and Brew has the makings of an ideal food destination. Located along MacArthur Highway in Urbiztondo, San Juan, you won’t find it difficult to look for this restaurant. Follow Tipple and Brew on Facebook and Instagram. Catering to millennials, artists, and backpackers, this is probably one of the most famous hostels in La Union. However, it was their kitchenbar that made an impact to us when we decided to take our breakfast here. Affordable and delicious, Flotsam’s Vigan longganis is definitely a must-try. NOTE: The Great Northwest Philippines Travel Stop and Viewing Deck (GNWPTSVD) is probably one of the best places to experience La Union as it houses several food stops and offers a great view of the famous La Union waves. Follow Flotsam and Jetsam on Facebook and Instagram. It was a little past 10 p.m. when we opted to have a quiet drink. Deciding that we want to hear the waves, we chose Artek Wine Yacht for its great choices of wine and stunning sights. This is open from 11 a.m. to 11 p.m. Follow Artek Wine Yacht on Facebook and Instagram. Arriving at around 6 a.m. in San Juan, the first place we visited is the social media famous El Union. More than their IG-worthy aesthetics, it must be said that their grilled cheese and hot chocolate should be as celebrated as their coffee. They open from 9 a.m. to 9 p.m. Follow El Union Coffee on Facebook and Instagram. Considered as a food joint for the health-conscious, Makai Bowls is where La Union visitors can get a taste of smoothie bowls filled to the brim with real fruits. After trying their avocado shake, I understood why they are one of the most famous food hubs in the area. Follow Makai Bowls on Facebook and Instagram. Grab a friend, take that midnight trip, and enjoy the waves! *Post photo from Makai Bowls Facebook.